Many customers are looking for generic scripts for their phone greeting. I hope these will help you get started! During normal hours: Thank you for calling [Name of business]. If you are experiencing an emergency [ex. service outage, need medical attention], please [action: dial number, stay on the line, hang up and call somewhere else, etc.] for immediate assistance. If you know the extension of the person you’re trying to reach, please dial it at any time. For a company directory, please press [number]. For [department], press [number]. For [department], press [number]. For all other inquiries, press [number]. To leave a voicemail in our general mailbox, please press [number]. To hear these options again, press [number]. After hours: Thank you for calling [Name of business]. Our office is currently closed. If you are experiencing an emergency [ex. service outage, need medical attention after hours], please [action: dial number, stay on the line, hang up and call somewhere else, etc.] and a representative will be paged to assist you. Our normal office hours are [days], [hours], [time zone]. For non-emergent matters, please press [number] to leave a voicemail in our general mailbox. If you know the extension of the person you are trying to reach, you may dial it at any time. Thank you! During normal hours: Thank you for calling [Name of business]! [Tagline or one sentence summary of what you do]. Please hold. The next available representative will be right with you. Did you know that [statistic or interesting fact related to the business]? Let us help you [solve this problem]. Talk to us about [service/product] today. Thank you for your patience. The next available representative will assist you as soon as possible. Connect with [our company] online! Visit our website at [website] and sign up for our email list to get exclusive specials and discounts. Thank you for continuing to hold. We are experiencing longer than usual wait times. If you’d prefer to leave a voicemail in our general mailbox, please press [number] now. Or, stay on the line and our next available representative will be with you as soon as possible. After hours: Thank you for calling [Name of business]. Our office is currently closed. Our normal business hours are [days], [hours], [time zone]. Please call back during business hours so that we may assist you. If you’d like to leave a voicemail in our general mailbox, please press [number]. Thank you! During normal hours: Thank you for calling [Name of business]! [Tagline or one sentence summary of what you do]. Our holiday office hours are [days], [hours], [time zone]. After hours: Thank you for calling [Name of business]. Our office is currently closed. Our holiday office hours are [days], [hours], [time zone]. Please press [number] to leave a voicemail in our general mailbox. If you know the extension of the person you are trying to reach, please dial it at any time. For a company directory, please press [number]. Thank you! Individuals’ Voicemail: You have reached the voicemail box of [person’s name]. He/she is currently unavailable. Please leave a message after the tone. After hours: Thank you for calling [Name of business]. Our office is currently closed. Our normal office hours are [days], [hours], [time zone]. Please press [number] to leave a voicemail in our general mailbox. If you know the extension of the person you are trying to reach, please dial it at any time. For a company directory, please press [number]. Thank you! After hours: You’ve reached [Name of business]. If you wish to schedule an appointment, please stay on the line. Or visit our website, [website] for a full listing of available appointment times. Thank you! After hours: You’ve reached [Name of business]! [Tagline or one sentence summary of what you do]. We are currently closed. Our normal business hours are [days], [hours], [time zone]. If you wish to leave a voicemail, you may do so now. Thank you! Where do I find on hold music for my voicemail greeting? There are many places to find professional on hold music for your voicemail system. 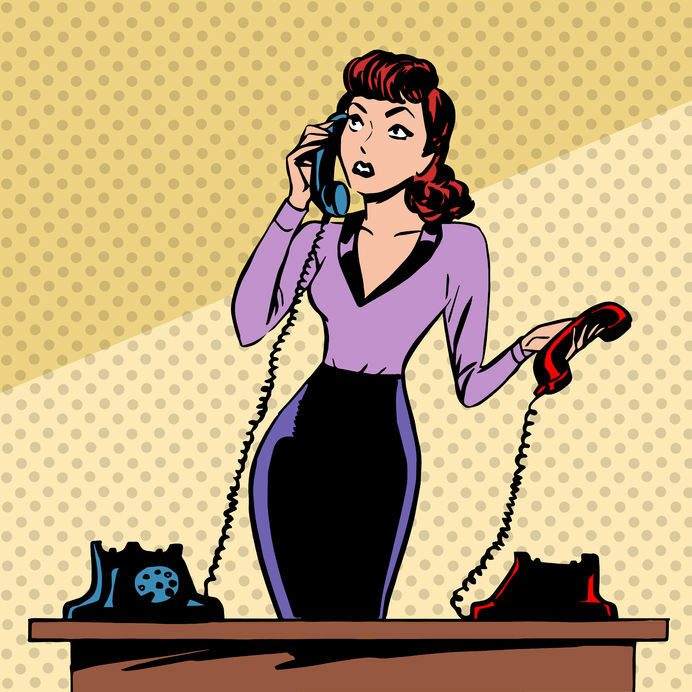 Have your script nailed down, and now ready to work with me on your phone greeting? Contact me!